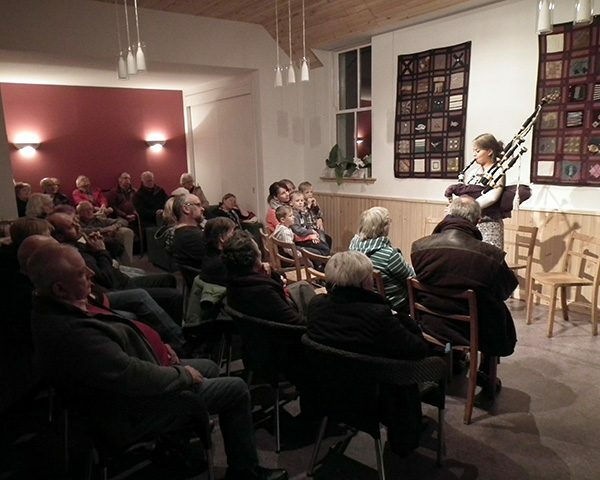 Grimsay Community Association hosts a wide range of regular and occasional events at Ceann na h-Àirigh, including traditional music, Gaelic heritage, talks on subjects of local interest, displays from our archive and weekly craft and produce markets. The building was renovated in 2016-17 and is warm, comfortable and attractive. It has good acoustics, convenient food service and seating for 40.